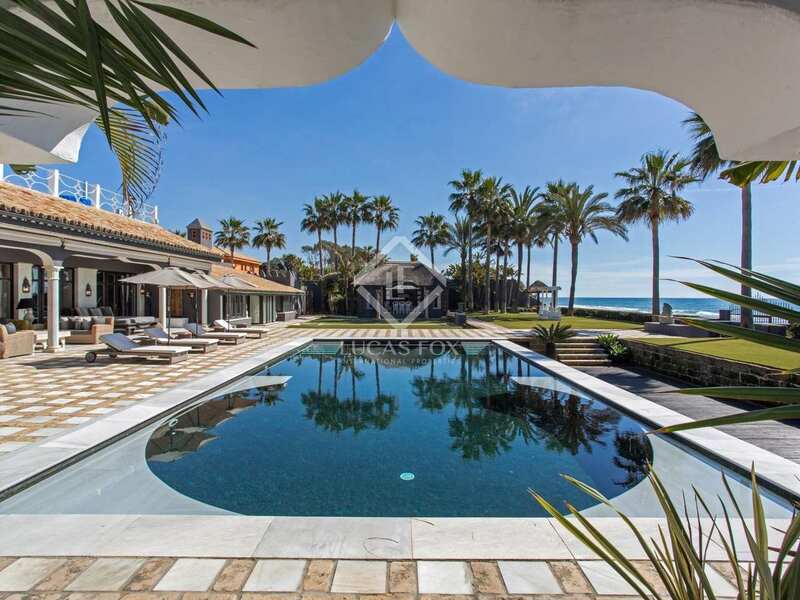 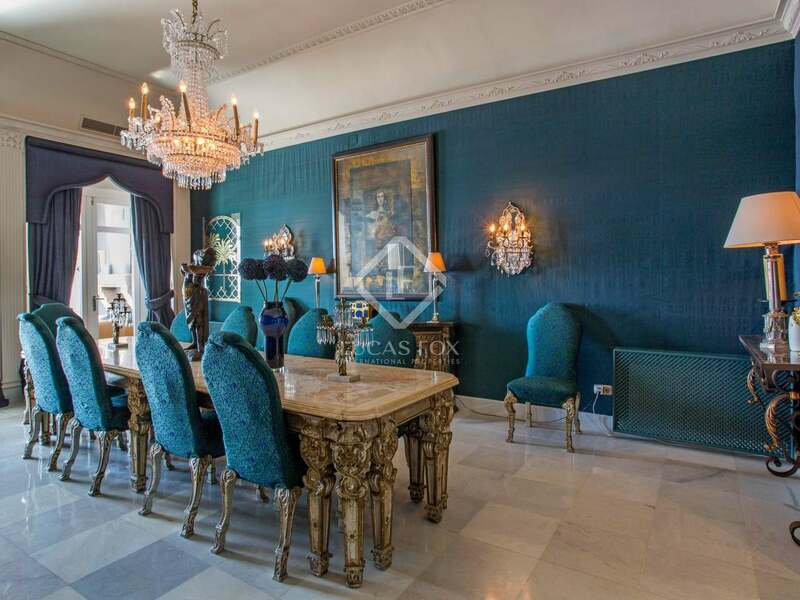 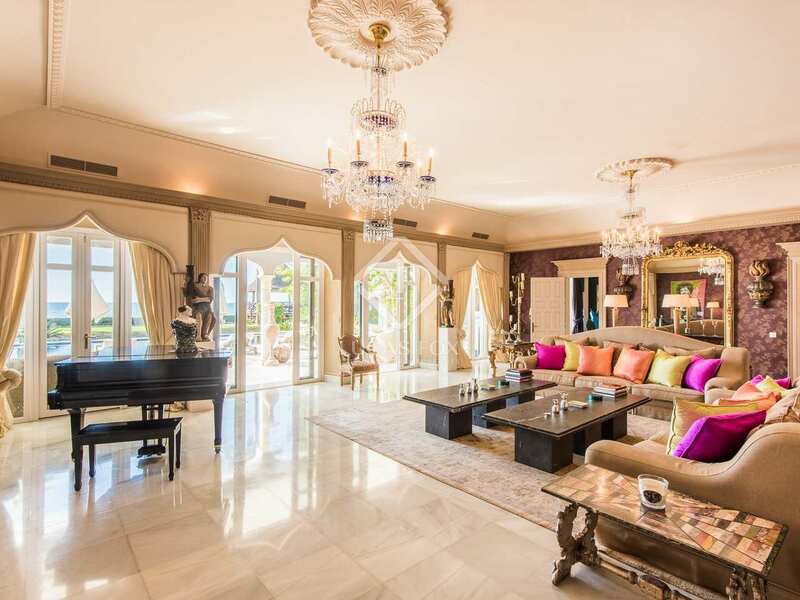 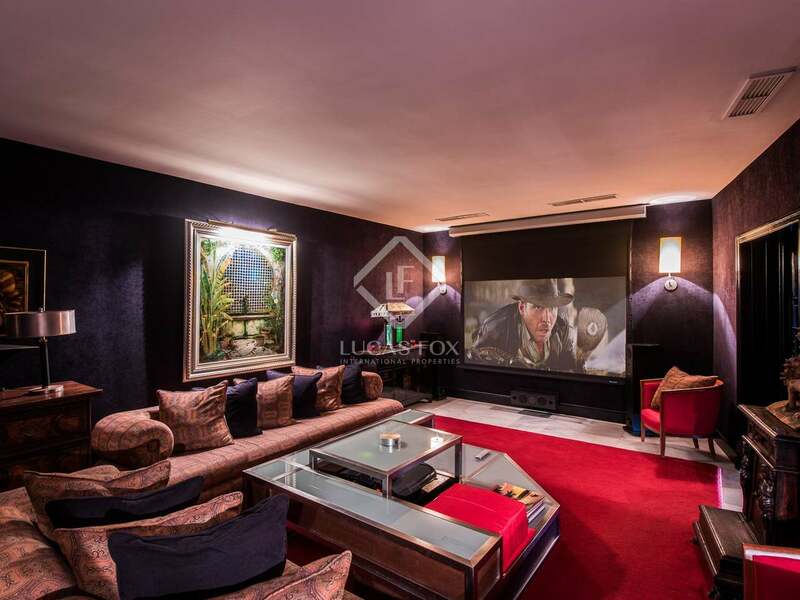 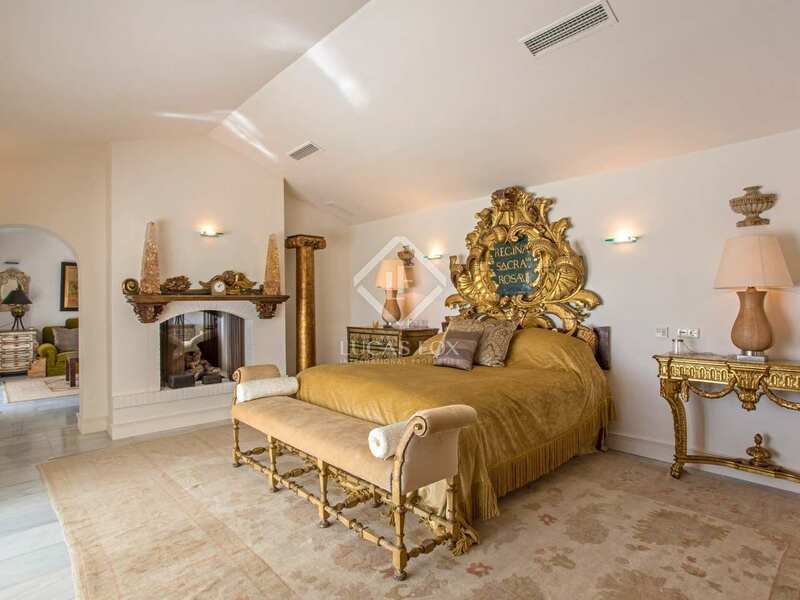 Incredible luxury villa with 7 bedrooms, 7 bathrooms, indoor and outdoor pool and a sensational Andalucian courtyard with a central fountain, right on Los Monteros Beach. 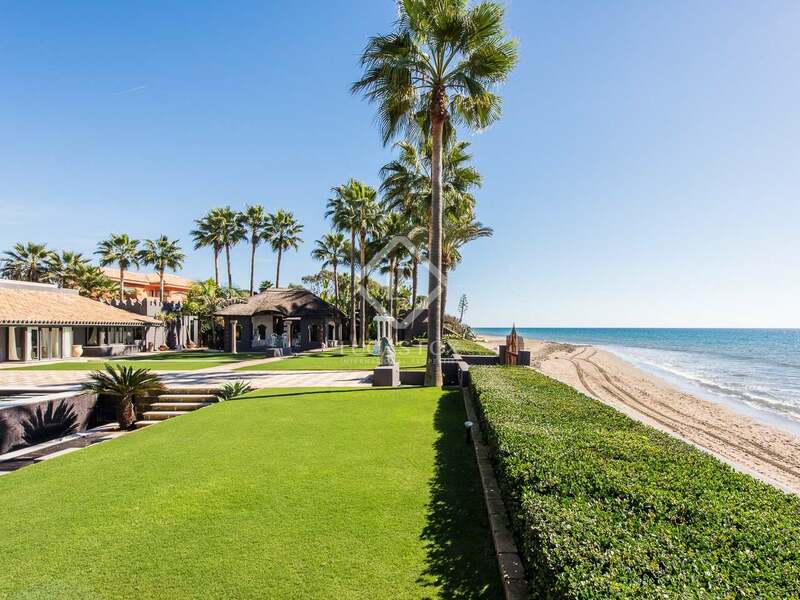 Right in front of a long stretch of sandy beach and a fantastic beach club we find the highly exclusive Los Monteros estate with 24-hour security, home to this unique luxury villa. 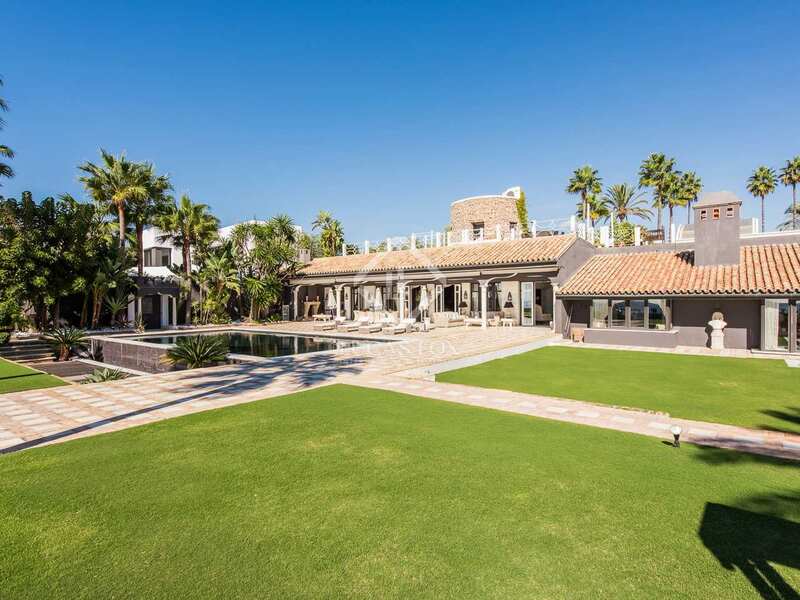 The estate is just a short drive away from Marbella centre and is considered to be one of Marbella's most sought after residential areas. 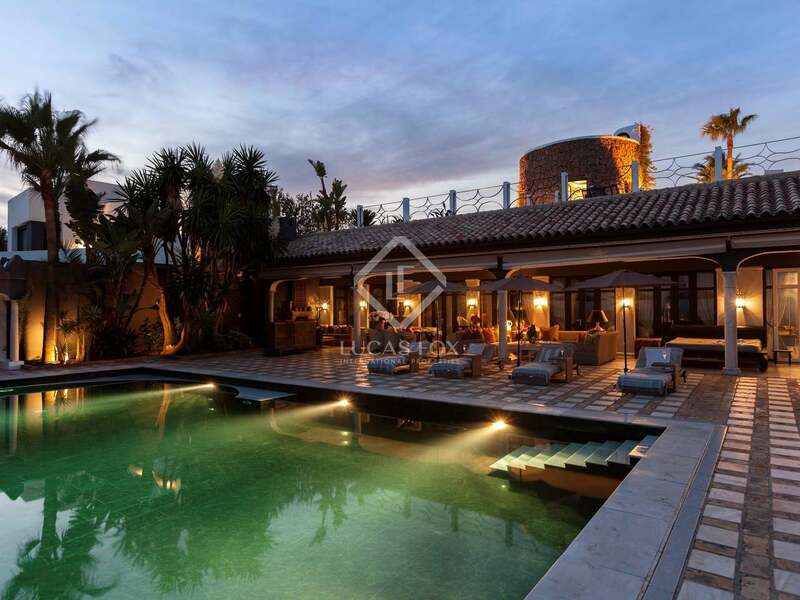 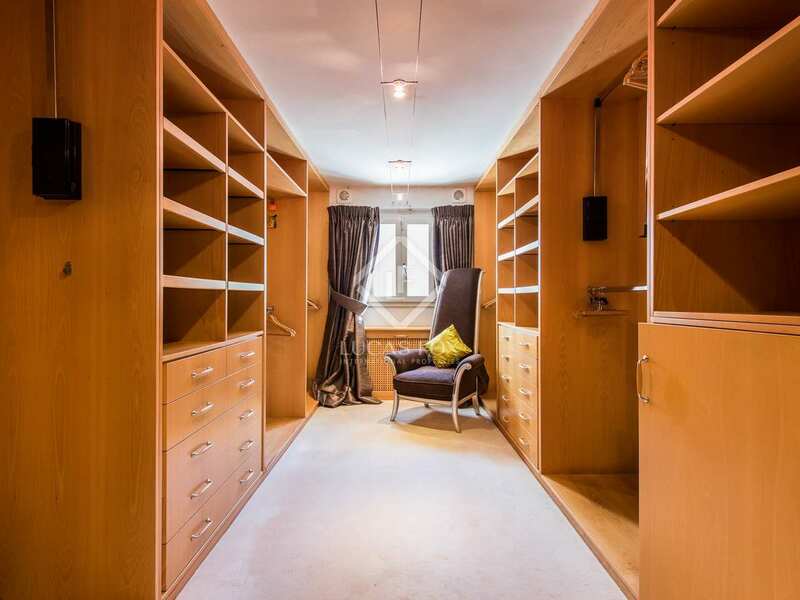 This striking property offers a built area of 1,080 m² on one level and a plot of 3,600 m² with a long elegant driveway which leads to the house and the vast parking facilities. 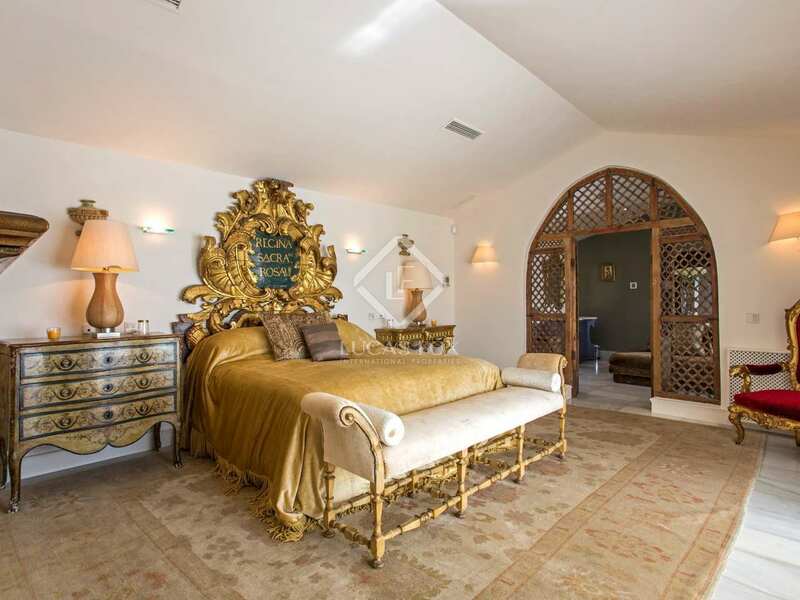 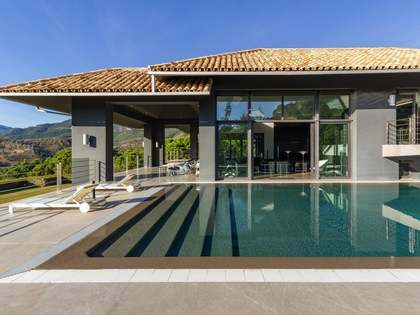 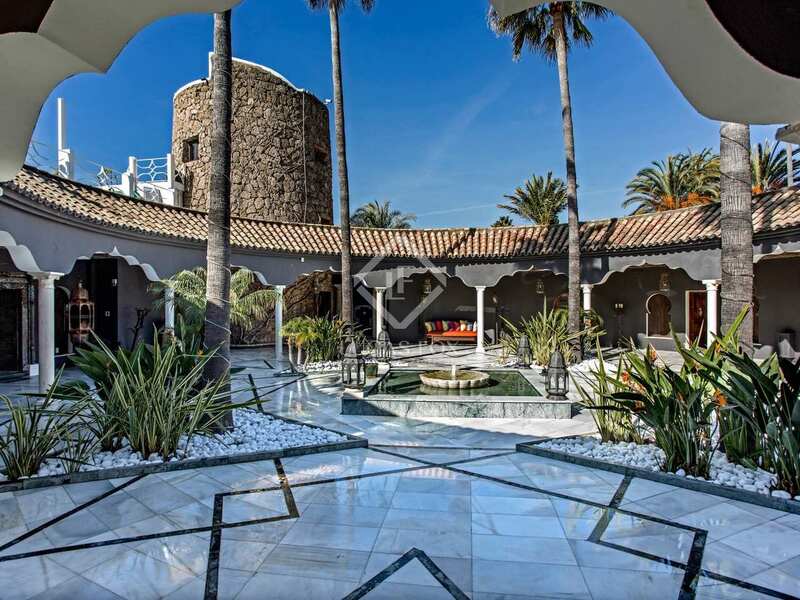 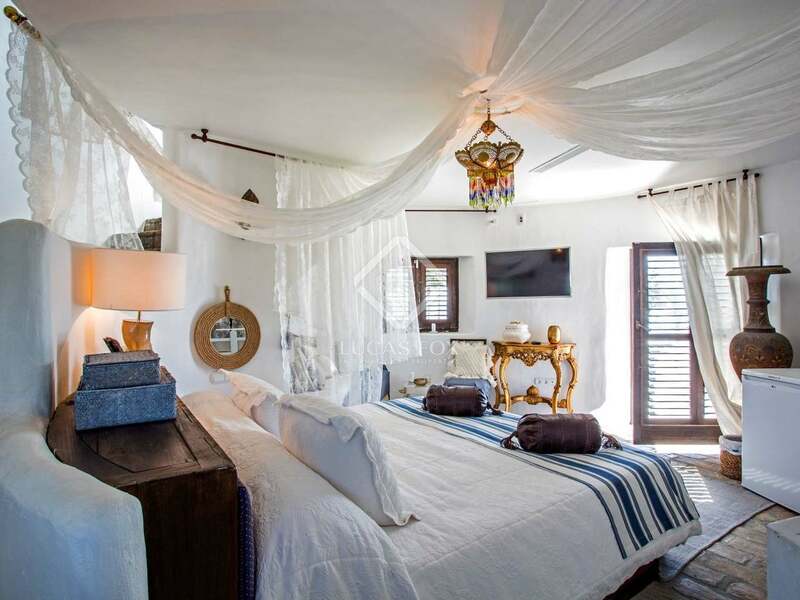 The villa has been designed with all of the charm of traditional Andalucian architecture and features a watch tower and a stunning circular central courtyard with a fountain and mature palm trees, an oasis of tranquillity and shade. 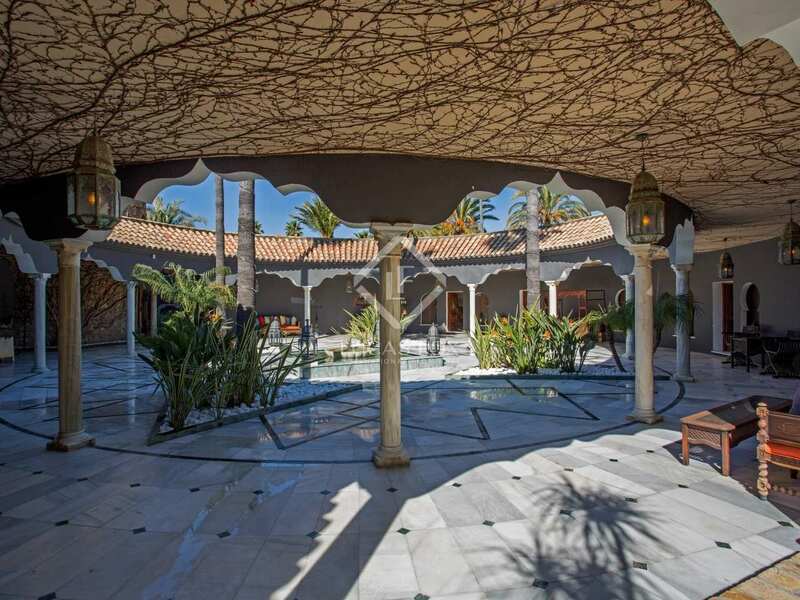 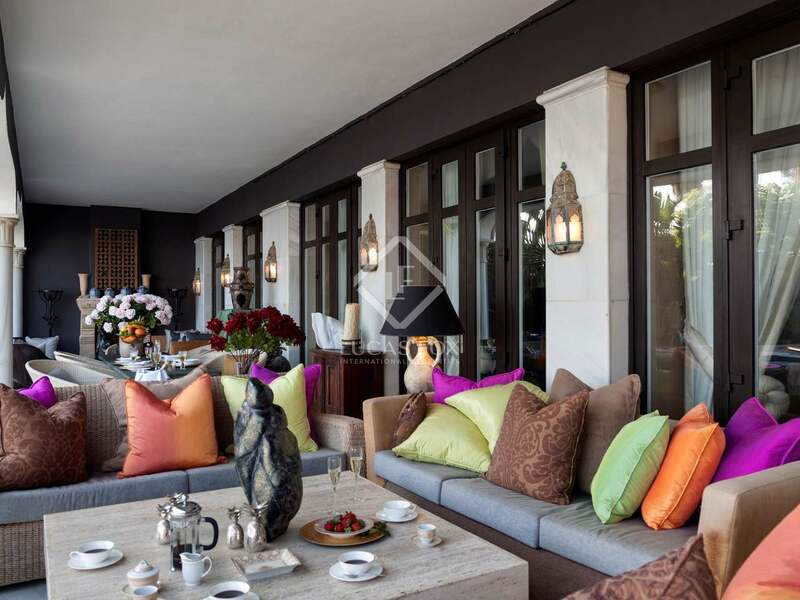 On entering the villa we find a glamorous entrance hall with sea views, a large, sunny living room which leads out to the beautiful garden and pool, gazebo and barbecue area. 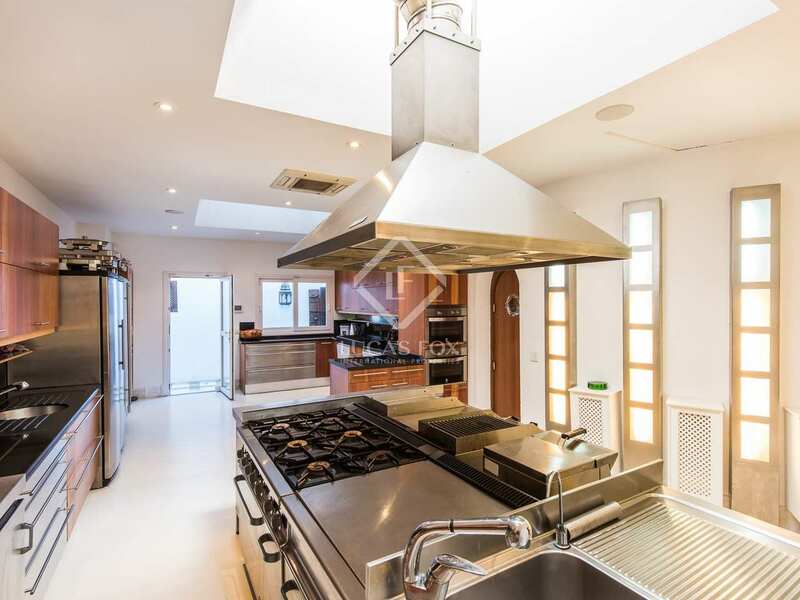 A fully equipped professional kitchen is also found on this floor along with a guest bathroom. 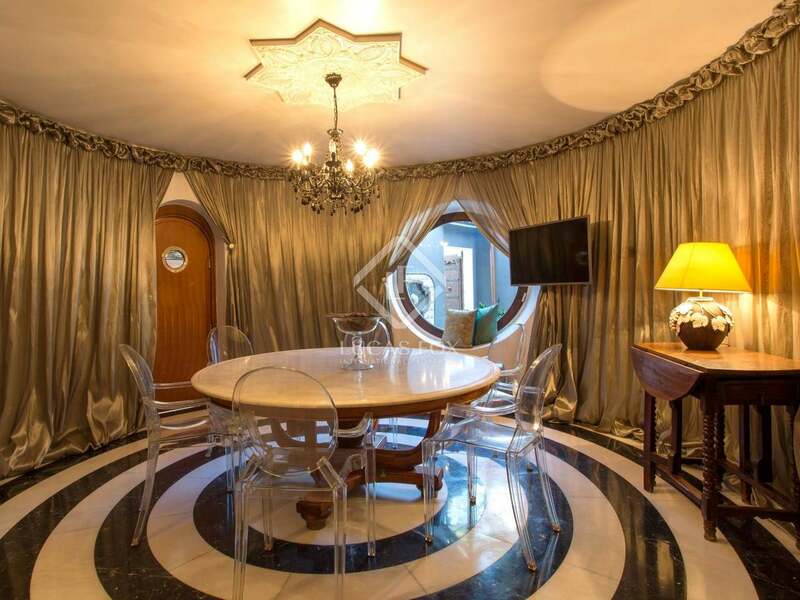 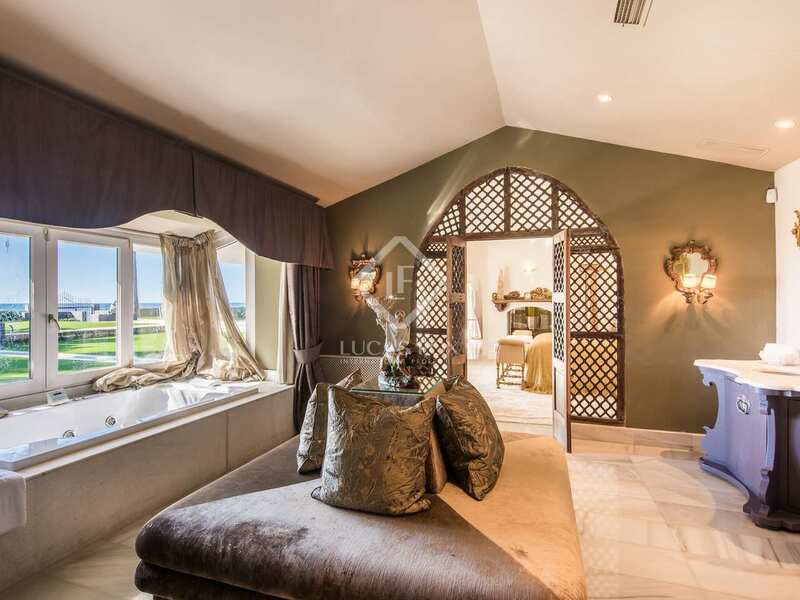 There are 7 bedrooms and 7 bathrooms in total, including the sensational master suite with its own fireplace, walk-in wardrobe, lounge and spa with an indoor swimming pool, jacuzzi, sauna, hamam, gym and massage room. 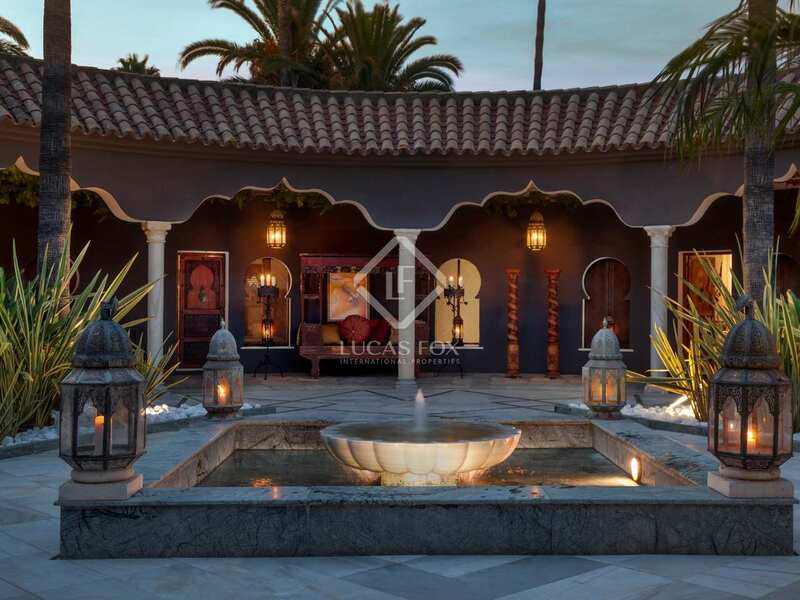 Slightly away from the main areas, on the other side of the courtyard, we find a separate staff or guest apartment with 2 bedrooms, a living room and a kitchen. 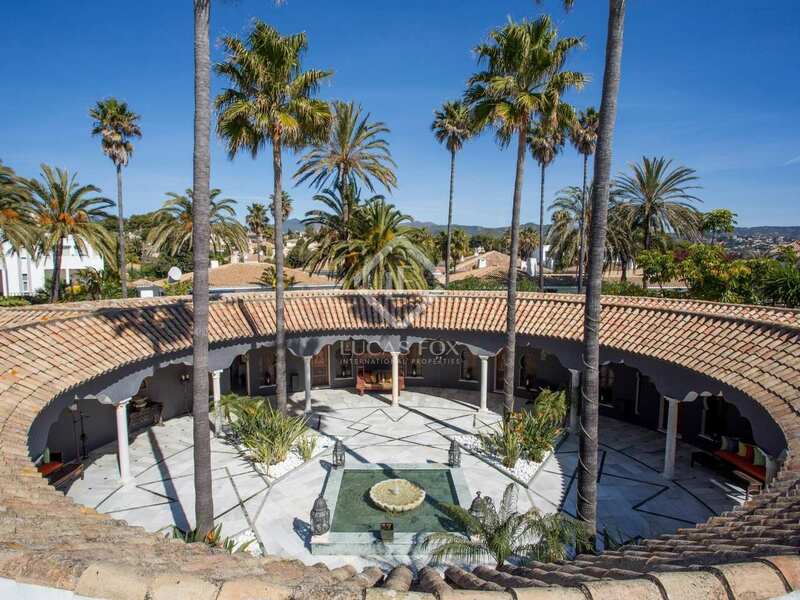 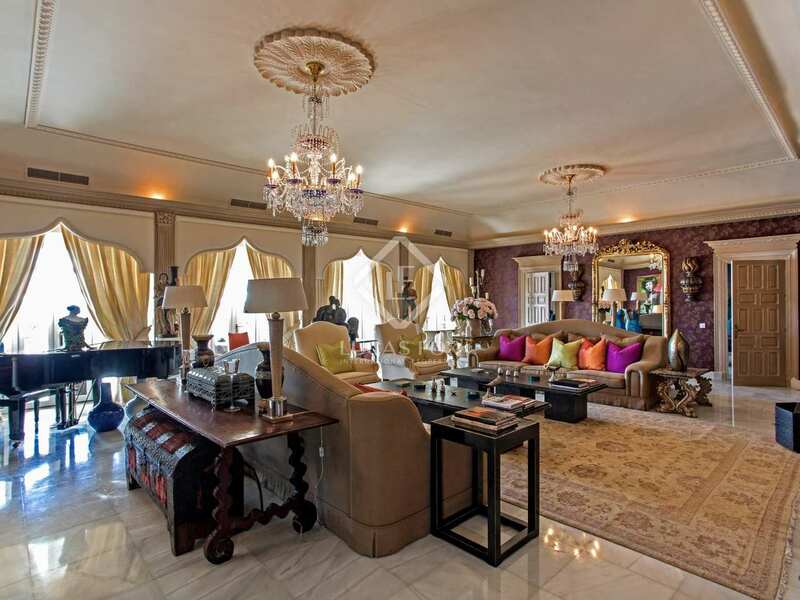 A truly outstanding property with grand, elegant interiors and grounds in a peaceful and very privileged location. 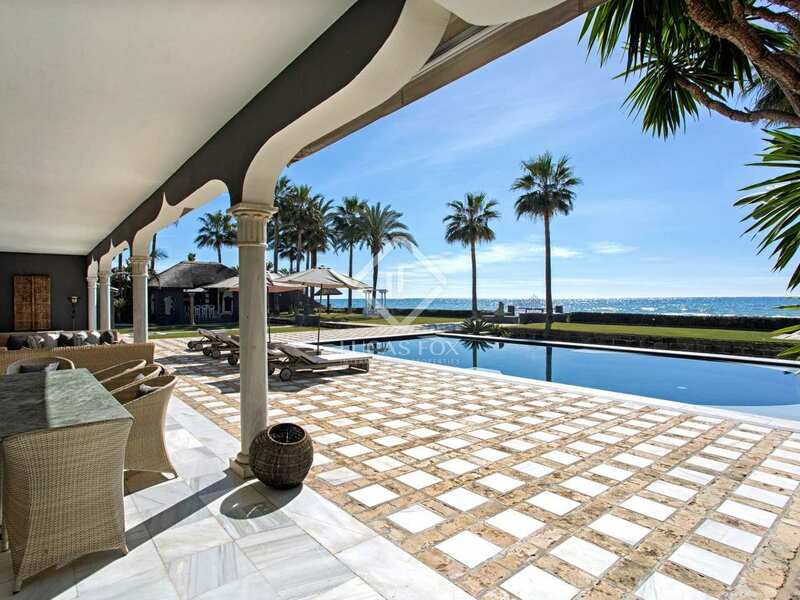 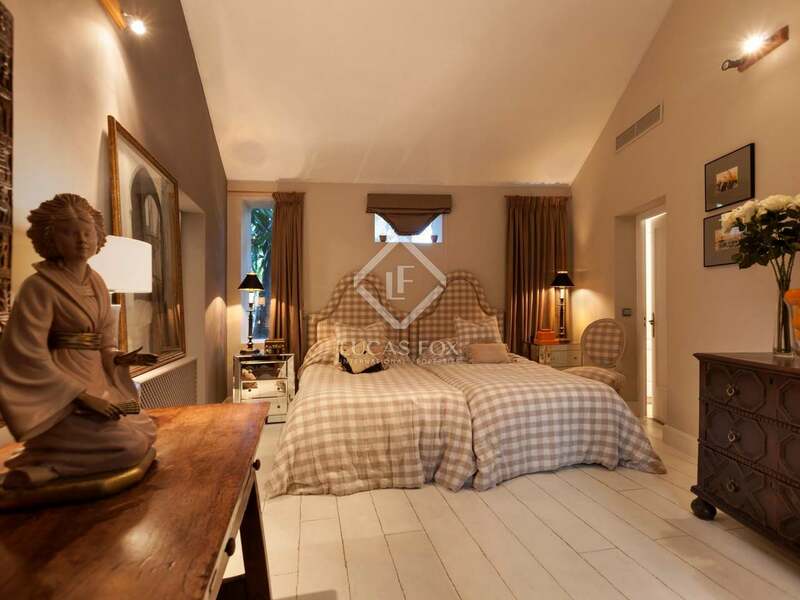 Property located in the exclusive Los Monteros Playa gated community in East Marbella. 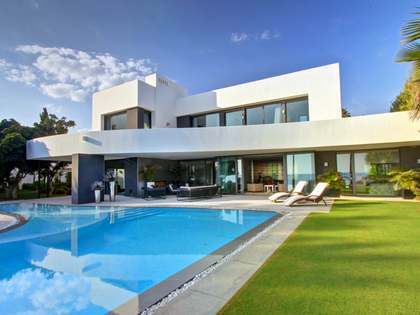 Just a few minutes by car from Marbella and Puerto Banus. 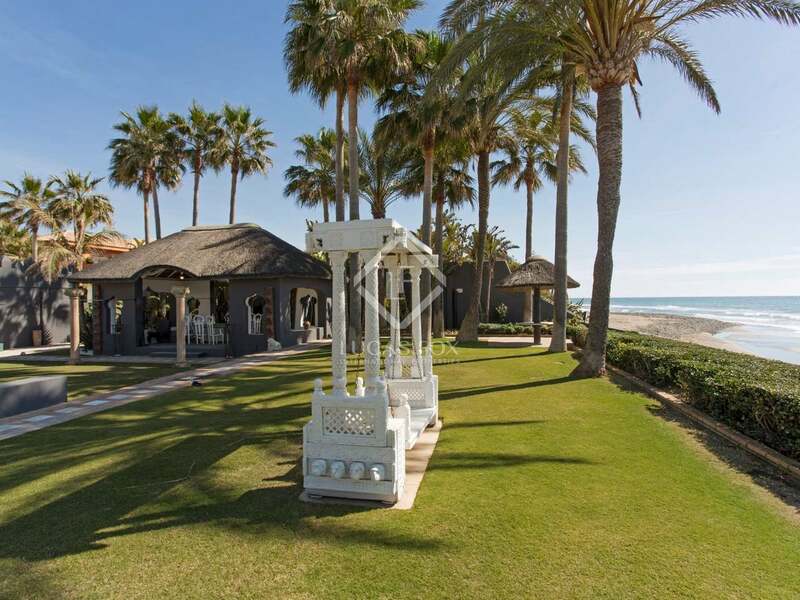 Los Monteros receives very little traffic and yet is easily accessible via the A-7.